Tags: "air canada wheelchair incident", "air canada", "big companies", "canadian airlines", "social media", "why companies should embrace social media"
A big, established corporation doesn’t need social media–it’s just for the small, new companies, right? Unfortunately, the recent “wheelchair incident” with our nation’s most popular airline proves just the opposite. 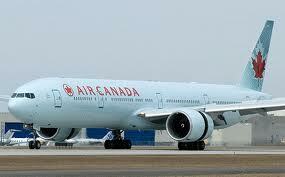 Air Canada suffered a huge lashing via Twitter the other day because of a disabled boy’s broken wheel chair. The boy’s aunt had tweeted: “So. @aircanada killed Tanner’s wheelchair. We’re now stuck at La Guardia. #tutusfortanner”. What followed was a community of tweeters appalled at the lack of action @aircanada was taking to right the wrong. But Air Canada had taken action–almost immediately. They had sent out the wheelchair to be fixed at an open-all-night repair shop. Within 24 hours, the wheel chair was in working order, delivered to the boy at his hotel–and a bonus dream trip to Disney World for him and his cousins. So why does Air Canada still seem like the bad guy? Because for 24 hours, while thousands of micro-messages were floating around on Twitter about how terribly insensitive Air Canada was–there wasn’t one single positive comment assuring his customer (and their community) that appropriate actions were already underway. Not on Twitter, not on their website, and not on Facebook. This is an important message to Air Canada that times are changing, and to keep up with younger, hipper competitors such Westjet and Porter, you must embrace social media. For one thing–they should have listened. They should have been aware that customers were concerned about what happened. There are many tools out there that can help with listening. One example is Google Alert. Once the alert is set up to notify the company of mentions–it can be used to track any negative or positive comments. This not only allows a company to quell any notions of bad service, but appreciation can also be shown for those customers that express satisfaction for the service. Well, first things–stay on top of your social media! Make sure the sites are being monitored at all times to respond to feedback and promote any special events. Information and “news” about the company should be current and highlight any affirmative actions. Post pictures, videos, interviews, press releases: Include board members, employees, and happy customers. This provides a way to develop a relationship with patrons. In this specific case–Air Canada should concentrate on the outcome. This story had a happy ending–show that. Post the pictures of the smiling customer–a video of Air Canada presenting the wheel chair and plane ticket to the boy and his cousins. Luckily, it doesn’t seem like this particular incident will set off any boycotts–but going forward, companies of all sizes should pay more attention to social media sites and recognize the power of a community.